NYX powder blushes are great quality blushes. They come in tons of colors (many of them dupes for NARS and other high-end brands), last pretty long, and blend beautifully onto the skin. 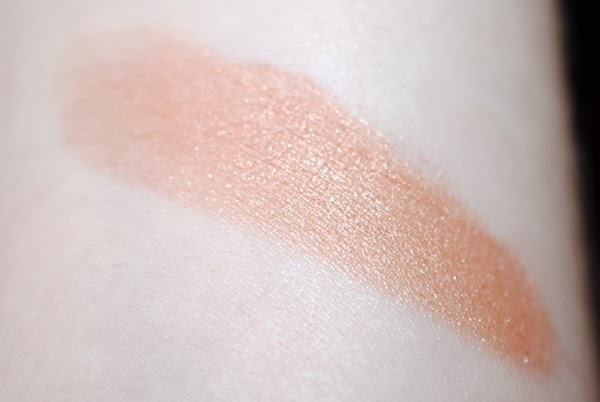 Terra Cotta is one of the most unique blushes in my collection. See what I think of Terra Cotta below! Terra Cotta is described as a "shimmery rose gold" but to me, it looks more like a peachy-bronze shimmer. It's supposedly a dupe for MAC Sunbasque ($21 for 0.21 oz) and NARS Luster ($30 for 0.16 oz), but I don't own those two blushes. All the NYX Blushes I've tried blend pretty well, and Terra Cotta is a great multi-tasking shade as you can skip the bronzer and get a nice multi-dimensional look on your cheeks. Plus, you can use this on your eyes as well and without look too matchy-matchy. As you can see in the pictures below the light reflects a gorgeous sheen on the cheek without crossing into shiny glitter territory. 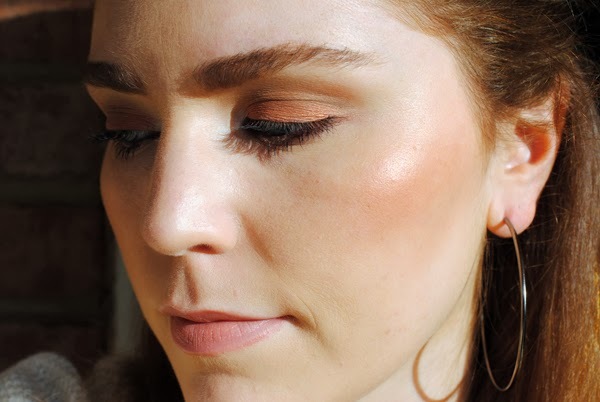 Also in the pictures below, I'm wearing Terra Cotta on the lids, and the peachy-bronze brings out the blue in my eyes. 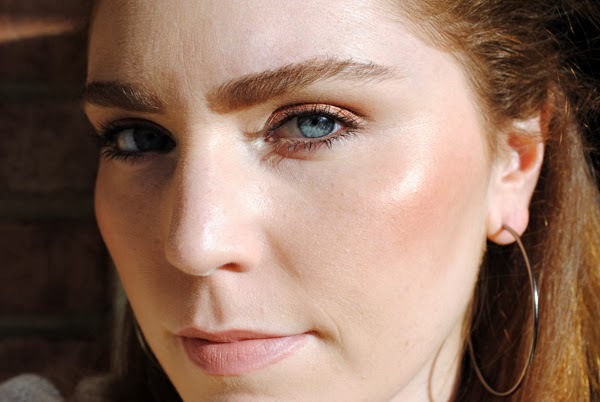 Unfortunately, the NYX blush line is not paraben-free, as it contains propylparaben. Another thing to note is that BHA is also listed in its ingredients list. Both ingredients are listed as potentially dangerous on the Environmental Working Group's Skin Deep Cosmetics Database. 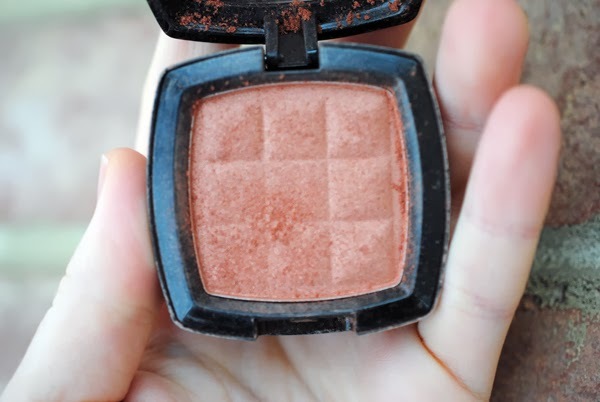 Because of this, I use Terra Cotta and my other NYX blushes sparingly. But it's so gorgeous so I may have to check out MAC Sunbasque — MAC blushes are paraben-free! 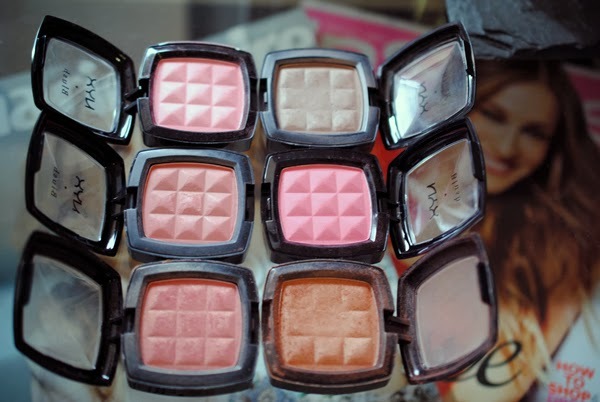 What's your favorite NYX blush? I purchased the beauty product I mention above with my own money. NYX 'Terra Cotta' is not paraben-free. This is a beautiful color on you! I only have one NYX blush, Pinched, and I love it. The fact that I only have one is mostly due to the barebones stock of NYX products in my nearby stores, not for a lack of appealing shades in their range! Thanks Miss Louise :) Go get some!